Why not treat yourself to an espresso, caffè latte or cappuccino on your next visit. Our coffees are made with Dorset Coffee Company's No.1 Blend, blended and roasted by master roaster Nigel Green. 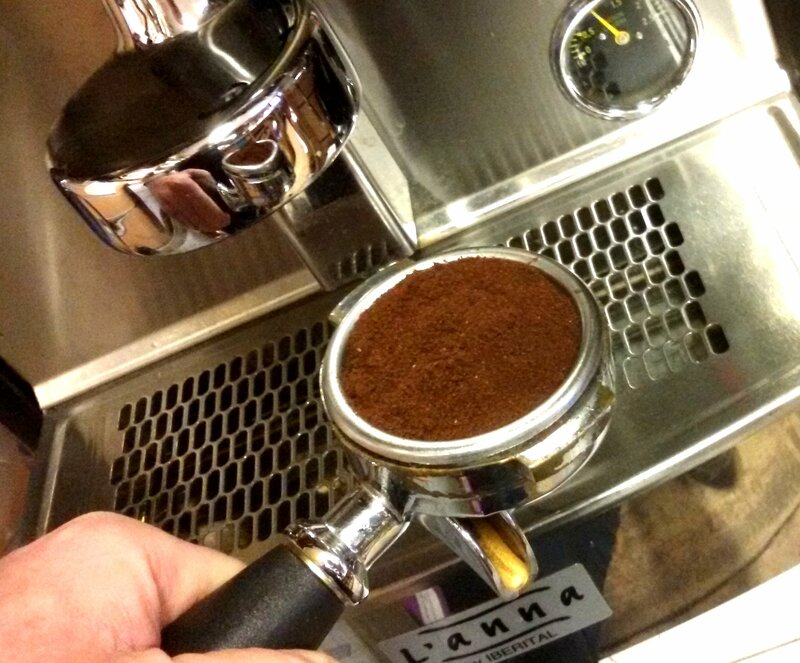 Nigel's No.1 Blend is a medium/strong roast ideal for making the perfect espresso. It is Rainforest Alliance Certified and a Great Taste Award Gold winner. Our cups of coffee are made with a double shot of espresso and we use organic whole milk from Ivy House Farm in Somerset unless you prefer something skinnier. This milk does lend a rich round mouth-feel to the drink. Photo courtesy of Dorest Coffee Co.
Nigel maintains a constant supervision of the roasting beans. After about half an hour the beans start to ‘pop’ and then need regular inspection every 30 seconds or so. This ‘slow’ finishing is crucial to the result – first at 215°C and then ‘off the heat’ at the end for four minutes or so. Beans are then quickly cooled to catch them at their peak. They then continue to ‘mature’ for another 24 hours ‘at rest’.